This was a problematic film. Ironically, it was simultaneously under-cooked with thin characterisation and a superficial emotional narrative, and over-baked with its heavy handedness and pedantic handling of an over-long and repetitive story. Someone ought to tell director Felix Von Groeningen that "show-not-tell" also extends to the music in the film, and not every song choice has to pointedly telegraph the expected emotional reaction he wants to illicit. Luckily the film was saved by a good - not great - performance by Timothée Chalamet (for great: see Benedict Cumberbatch in Patrick Melrose) and also the under-rated Maura Tierney who stole her scenes with Steve Carrell with her quiet, restrained performance. 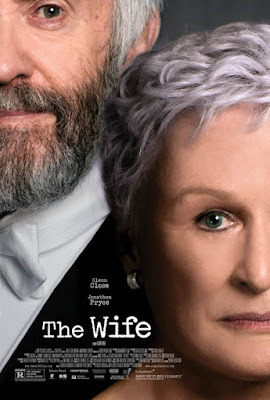 Glenn Close was superb in this film. A first class display of nuanced virtuosity as her restrained portrayal of the eponymous wife had her emotions simmering just under the surface and threatening to implode her throughout the film. But it was all only until in the final act where it finally erupted out. Not in a volcanic, Vesuivian sort of way, but in a controlled, yet still fiercely fiery, explosion of emotions that ran the gamut. The film's narrative itself was interesting, albeit predictable, and quite probably problematic in this day of #MeToo and #TimesUp. Nonetheless, it really was Close's remarkable performance that held this film up. Jonathan Pryce too deserved some praise for being the actor that allowed Close to spar and shine, and he was good in his own right, just that he gets eclipsed here (the irony!). This was honestly a good film. 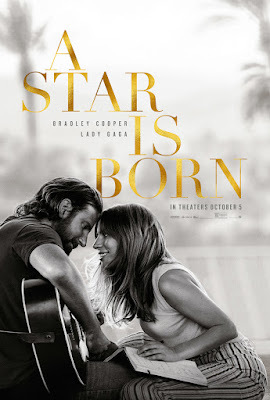 It had its faults, but it was entertaining enough although ultimately it felt like an extended Lady Gaga music video with a love story thrown in between sets. A simple tale of a family brought together not by blood but by choice that was understated in its naturalistic execution but utterly heartfelt and gut-wrenching in its execution. The emotions were absolutely well earned and the cast exuded a genuine sense of warmth and sincerity in their roles. 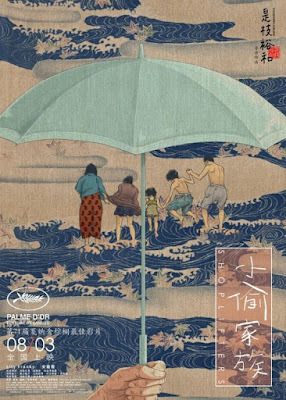 A feel-good, brilliant piece of storytelling by writer/director Hirokazu Koreeda that give us hope, something so needed and lacking in films these days. It deserved all its accolades and the Palme d'Or award. The story itself was straightforward, although I am sure some nuances were lost in translation. However, what was not lost was the performances of the cast. Those shone through, especially for the young ones, and Koreeda managed to coax a genuine performance and reactions from these newcomers. Veteran actors like Lily Franky, Sakura Ando and Kirin Kiki anchored the narrative. And again, their acting felt naturalistic and unforced, and the relationships between them all felt real. This film was not for everybody. It can definitely be classified as an art-house film. Writer/Director Josephine Decker had created an unexpected film that weaved a well-known subject matter into an imaginative and experimental tapestry that felt original. The result of which was a film that was oddly disconcerting, strangely affective and hypnotically mesmorising. And most importantly, a star is born in Helena Howard who with her debut in this film becomes one of the most exciting new, young actor to emerge in recent memories. 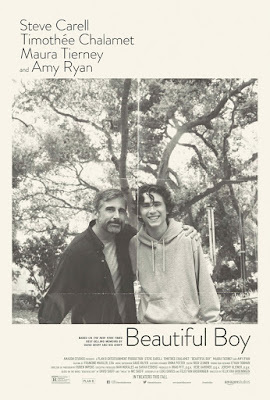 Imagine this film as Lady Bird with mental health issues, and Howard as the next Saoirse Ronan. The narrative followed a rather straightforward path and Decker expects her audience to pick up the details on their pwn. There were no spoon-feeding of backstory or expository motivations here. Events unfold and you are expected to keep up with the psychedelic unknown and immerse yourself into the experience. 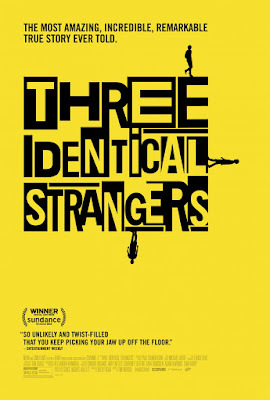 A truly fascinating true story of identical triplets separated at birth who found each other 19 years later. And then it veered off into a pseudo-scientific documentary into the controversial study of twins separation and the idea of nature versus nurture. The first part, this documentary did very well. Ably telling the story of the central triplets and how the lives changed. However, film director, Tim Wardle, then decided to dive into the why they were separated, and that whole arm was messy, albeit interesting. Anybody with an inkling of scientific studies and twin-studies would find the exploration of the Neubauer controversial studies lacking in depth and purpose. It really seemed more sensational here rather than an intellectual exploration of the ethics and ramifications. Which would have made for a more interesting story. This film had Damien Chazelle's fingerprints all over it. After Whiplashand La La Land, Chazelle has established a very distinctive visual and auditory signature. 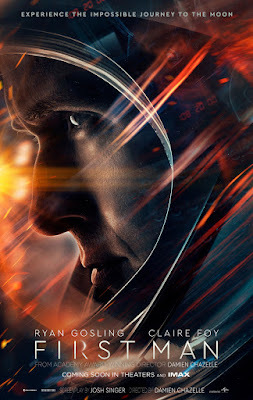 The film had a docu-realistic feel to it whereby the story was told through Neil Armstrong's POV, and with that, came along a detailed sense of intimacy, when we explored his home/personal life, and also a genuine sense of trepidation and awe when he was at work and in space. Those scenes set within a space/air-craft were utterly gripping and by-your-seat tense, and that final act was fantastic, albeit surprisingly epic. Ryan Gosling remained an acting enigma, is his brooding, hardened stare and pursed lips meant to be serious actor or just brooding? Next to Claire Foy, whose every look carried so much more weight, the difference was noticeable. With this film, and after The Cabin in the Woods(in between was also the better-than-expected The Martianand the phenomenal The Good Place), writer/director Drew Goddard has officially joined the pantheon of writers and directors whom I would watch anything that they make. This chapter-movie was seriously funny. It was witty, smart as hell, genre-eschewing, dark but not macabre and just littered with visual and literary puns and gags. And it was also so very well cast. 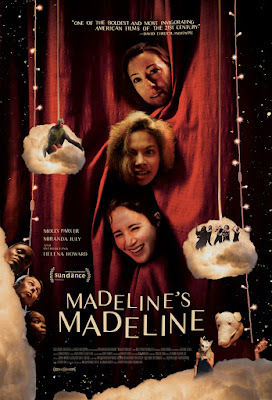 A bottleneck film that trapped its character and had fun exploring their identity as the story twists and turns and flashbacks fleshed out the complexity of these strangers. Goddard weaved together a brilliant, intelligent, original film that not only entertained but also provided a subtext of social commentary. 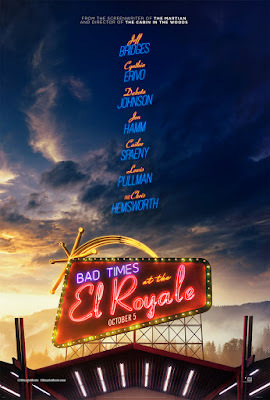 Cynthia Erivo and Lewis Pullman stole the show, but Chris Hemsworth, Jeff Bridges, Jon Hamm and Dakota Johnson all played their roles so bloody well! Melissa McCarthy and Richard E. Grant gave extraordinary performances in this otherwise rather light biopic of novelist/forgery felon Lee Israel. This dramedy lacked drama and emotional heft, and its lead character, although purposely unlikable, did not seem to have much sense. Nonetheless, it was McCarthy's against-type performance, coupled with great on-screen and comedic chemistry with a terrific Grant, that really helped to provide the laughs and tide through a seemingly too-long 107 minutes. Director Marielle Heller made the stranger-than-fiction real life story into a straight-telling film that ran accordingly but lacked depth. Both in terms of character and narrative depth. Writers Nicole Holofcener and Jeff Whitty ably adapted Israel's memoirs but unlike Israel herself did not seem to able to inhabit fully the character(s) they are writing for. This was a fun-enough film that had two things going for it: Tom Hardy and a run time under 2 hours. 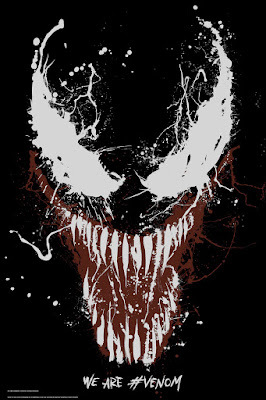 Any time Hardy (or Venom as it may so be) was on screen, the film was infinitely better. Hardy had charm and charisma, he was funny, slightly irreverent and definitely was not taking the film too seriously. Eddie Brock's bromance with Venom was a clear highlight of the film. On the other hand, when he is not on screen, fellow cast members, Michelle Williams and Riz Ahmed, did the best they could, but their clunky lines and superficially written characters did the film, and themselves, no favour. And at just 112 minutes long, the film zipped along after the dull and plodding first act. At least director, Ruben Fleischer, had two good action showcases - the racing scene was exciting enough and would have been better had he relied less on close-ups, and the final showdown was riveting enough to excite.